A number of students in MLC who started learning a language as complete beginners are now in their final year. In this series of posts, we hear more of the challenges and successes of learning a new language from scratch from some of our students of German, beginning with Victoria Napier, who is taking a BA in French and German. As ab initio students, they have four language classes a week. Two lessons take place with a dedicated textbook and support grammar-learning. There are also weekly oral classes, in which students practise speaking, and every week they spend one hour in the languages laboratory to enhance their listening skills. Our ab initio students need to invest many hours in independent learning to consolidate what they’ve learnt in class. It is an intense way to learn languages, but those who do it this way find it extremely rewarding. As they head towards fantastic graduate opportunities, here is how some of them look back on four very successful years at Liverpool. Being an ab initio student was initially quite daunting and challenging. However, going from beginners level to A2 level within the space of one year was extremely rewarding. Of course, it required hard work and plenty of independent learning, but we received a lot of support from our lecturers and being in such a small class enabled us to get the attention we needed. Learning vocab and grammar can only take you so far with a language and, for me, listening comprehension was extremely difficult. To tackle this I listened to German as much as I could, be it radio or news podcasts. During my Year Abroad, I worked as in intern with Huffington Post Deutschland. Being thrown into a German-speaking work environment was challenging as it was a completely new experience for me, and the German spoken in the office was unlike that of our classroom. Adaptability was important and I just had to throw myself into this new situation, without worrying if I was making silly grammar mistakes. I learnt a lot through this placement, especially about online media and how it works but most importantly I made some amazing friends. Before starting my final year, I was slightly anxious as we would now be in the same classes as the Advanced German students. Much to my surprise and delight, I felt on a par with my fellow students and I was tremendously happy to see the progress my fellow beginners students had made. As for my plans after University, I wish to teach abroad – be it English, French or German. I wish to use my German in the future, not necessarily exclusively within a working environment. Being an ab initio student has definitely presented me with many challenges and it’s a lot of hard work but, without a doubt, worth it in the end. HELP! LIKE OUR VIDEO ON YOUTUBE! We are second in a video competition and we need to reach 1500 likes on YouTube by the 22nd March! We are students of Basque at the University of Liverpool and we would like to ask a little favour from you. We have recorded a video promoting the Korrika run in support of the Basque language that will be taking place in the Basque Country from the 30 March – 9 April. The event is organised by AEK (Alfabetatze Euskalduntze Koordinakundea), an organisation with the mission to recover and revive the Basque language among the people of the Basque Country. The route of the run goes through the Basque Country and covers over 2,000 km over the course of the 11 days. Professor Charles Forsdick, James Barrow Professor of French, has recently spent a week in California working on two current projects. He spent several days in Los Angeles, as a visiting research at the Getty Research Institute, where he was able to consult the rich holdings of French colonial iconography in the ACHAC collection. 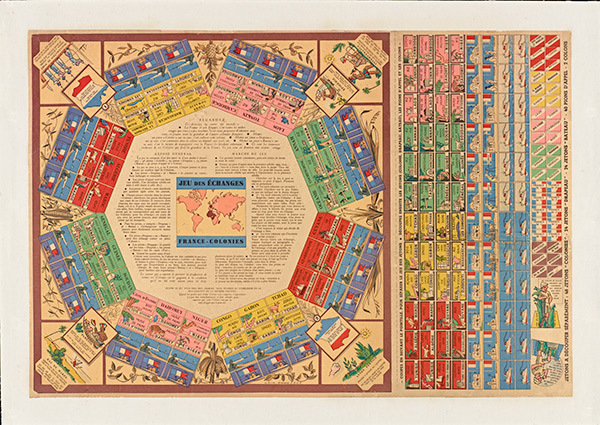 Professor Forsdick is one an international team of researchers preparing a volume on the collection, and his own research focuses on colonial ephemera (especially toys and games). This work develops in new directions his previous work on exoticism and human zoos, and allowed him to consult a range of material including cut-out toys, advertising materials and Vichy-era board games. Whilst in Los Angeles, Professor Forsdick also led a seminar for students in the Department of French at UCLA and had an opportunity to present the activity he currently leads relating to the AHRC Translating Cultures theme. The research trip ended with a visit to San Francisco, where Professor Forsdick was able to continue work on a project relating to penal heritage and dark tourism. 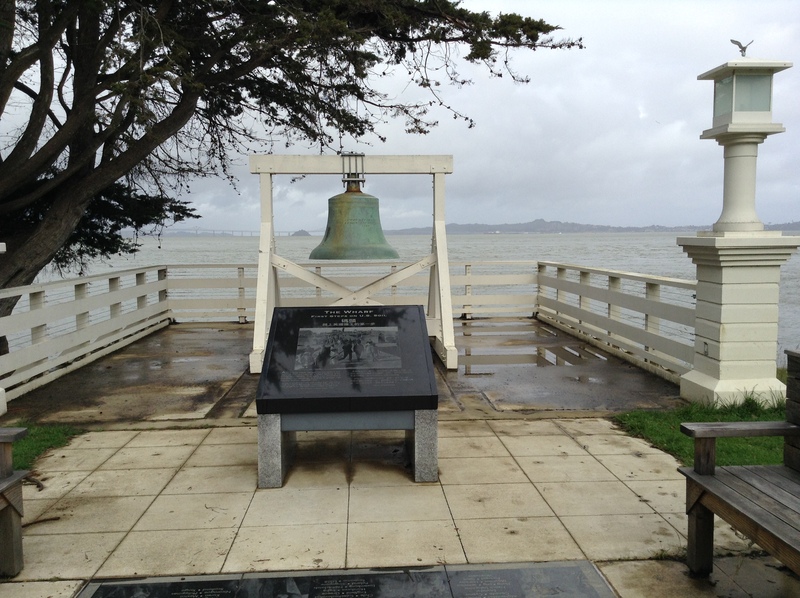 He visited two islands in San Francisco Bay, both of which are important dark heritage sites. On Angel Island, he met park rangers to tour the Immigration Station, often known as the ‘Ellis Island of the West’, through which – between 1910 and 1940 – numerous Chinese and Japanese migrants arrived in the United States. 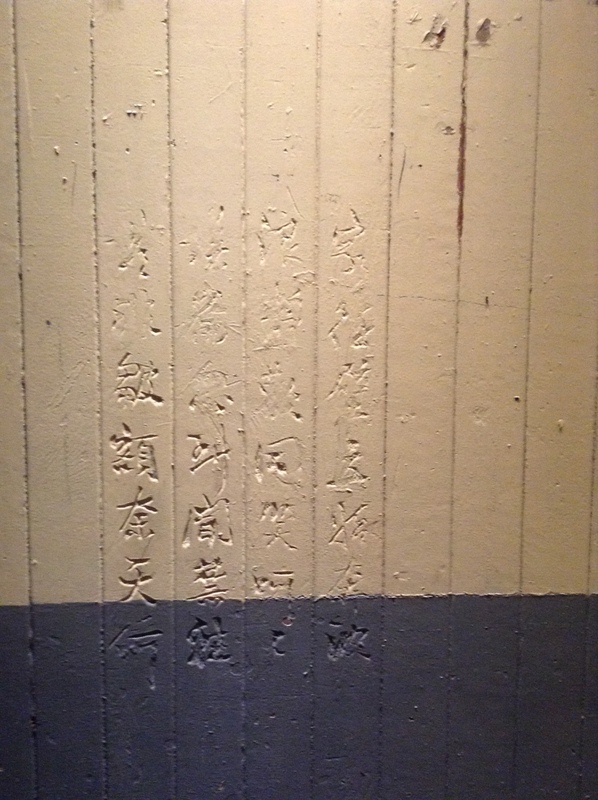 Professor Forsdick was able to consult the remarkably well-preserved Chinese poetry carved into the wooden walls of the detention centre, and make comparisons with similar traces of former prisoners and detainees at other sites such as the Cité de la Muette at Drancy in Paris and Kilmainham Gaol in Dublin. On the day of his visit, he was one of the only people to explore the Immigration Station on Angel Island. This was not the case the following day on Alcatraz Island, which remains one of the most popular penal heritage destinations in the world (with c. 1 million visitors per annum). The United States Penitentiary on Alcatraz is the source of what Professor Forsdick calls ‘penal exoticism’, a romanticization and sensationalization of prison heritage that is supported in this case by a rich corpus of popular cultural representations. 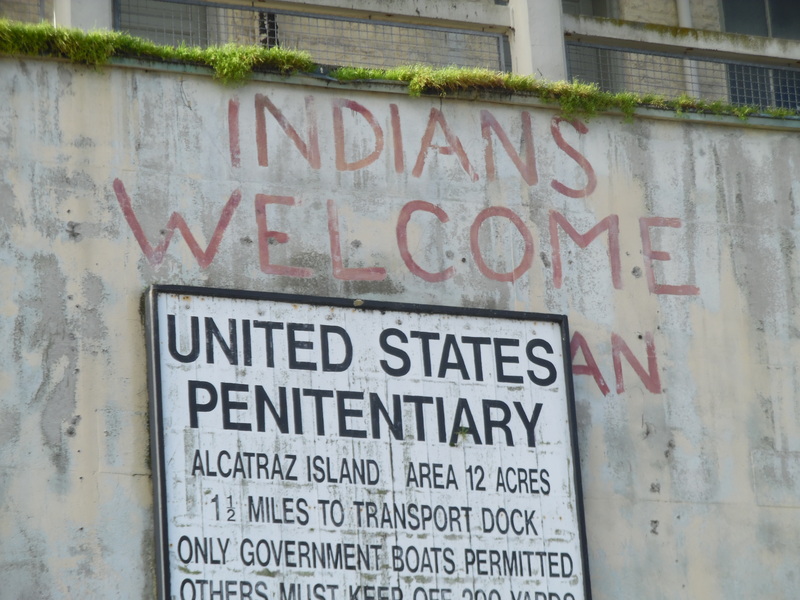 What interested him most on the island, however, was the way in which the site was occupied in 1969 – following the closure of the prison – by Native American activists, who transformed Alcatraz for over a year into a centre of their struggle for recognition of land rights. The prison-museum operates as one of a number of palimpsestic ‘sites of memory’ at which penal heritage co-exists with other histories and memories. The research at Angel Island and Alcatraz will feature in an article Professor Forsdick has co-written with Dr Wendy Asquith due to appear in a special issue of the journal Mémoires en jeu on dark tourism that he is currently co-editing with his collaborator Annette Becker of Paris-Nanterre. It will also be presented at a forthcoming workshop on Dark tourism in comparative perspective: Sites of suffering, sites of memory / ‘Tourisme des catastrophes’, sites de souffrances, sites de mémoire: perspectives comparées to be held in Liverpool on 21/22 March 2017. 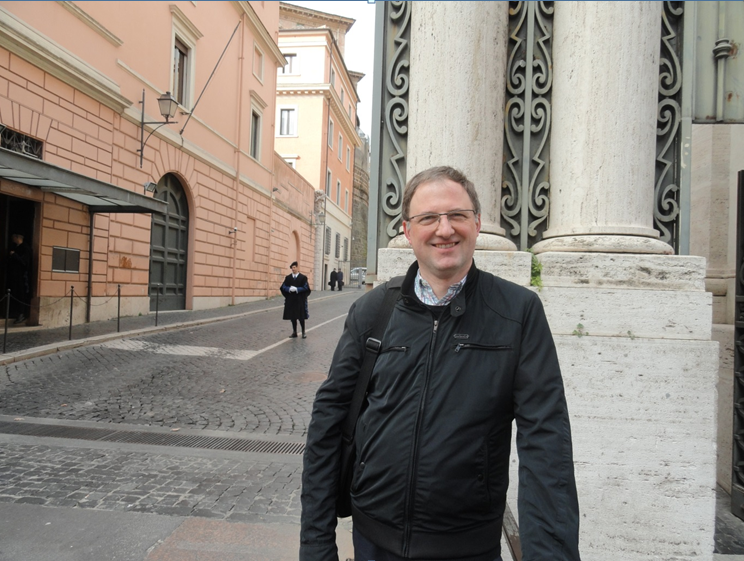 Dr Godfried Croenen, Reader in French Historical Studies, used the break in teaching during tutorial week to make a research trip to Rome and Vatican City. While there Dr Croenen worked in the Vatican Library, which houses one of the most important collections of medieval manuscripts in the whole world. Dr Croenen used his visit to study several precious manuscripts that contain French chronicles from the 14th and 15th centuries, a particular focus of his current research. The codices he was working on in the Vatican were once part of the private library of Queen Christina of Sweden, who had brought together an extensive and exquisite collection of medieval French manuscripts. Having converted to Catholicism Queen Christina moved to Rome and took her collections of books and art works with her. After her death in 1689 her books were purchased by Pope Alexander VIII for the Vatican Library, where they are still housed and available for study to scholars from all over the world. 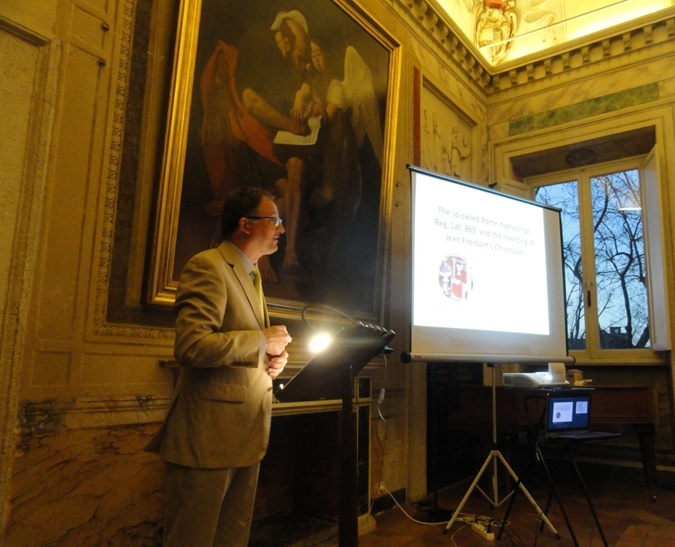 Dr Croenen also gave a lecture at the Villa Lante (Finnish Institute in Rome). He spoke about a manuscript from the Vatican Library that contains the Chroniques of Jean Froissart. The codex Reg. Lat. 869 is one of the most important surviving manuscripts containing Froissart’s text. Dr Croenen has published a new edition of the text in this manuscript as part of the Online Froissart project, for which he acts as co-director. Having first explained the importance of Froissart and his Chroniques in which the author recounts the wars between France and England in the 14th century, Dr Croenen reflected on the unique character of the Vatican manuscript and on the crucial role that it can play in scholars’ understanding of the historical oeuvre left by Froissart. Dr Croenen giving his lecture in the Villa Lante, a Renaissance villa located on the Gianicolo Hill overlooking the city of Rome. It was originally designed as a summer retreat and is decorated with frescoes by Giulio Romano, one of Raphael’s pupils. Dr Croenen’s lecture was followed by a lively question-and-answer session and a dinner hosted by the Institute’s president Dr Tuomas Heikkilä. Last month, MLC’s Professor Eve Rosenhaft, together with Dr Robbie Aitken of Sheffield Hallam University, gave an interview for the New Books Network blog on their recent publication Black Germany: The Making and Unmaking of a Diaspora Community, 1884-1960 (Cambridge University Press, 2015). The original blog from New Books Network appears below, as well as a link to the audio interview itself. Germany’s role in colonizing Africa has received increased attention lately, with an exhibit on German colonialism appearing at the Deutsches Historisches Museum in October and recent headway on a deal for Germany to pay reparations to the descendants of Herero and Nama genocide victims in Namibia. In Black Germany: The Making and Unmaking of a Disapora Community, 1884-1960, Eve Rosenhaft and Robbie Aitken supply a part of the colonial story that gets even less attention than that of Germans in Africa: what about Africans in Germany? 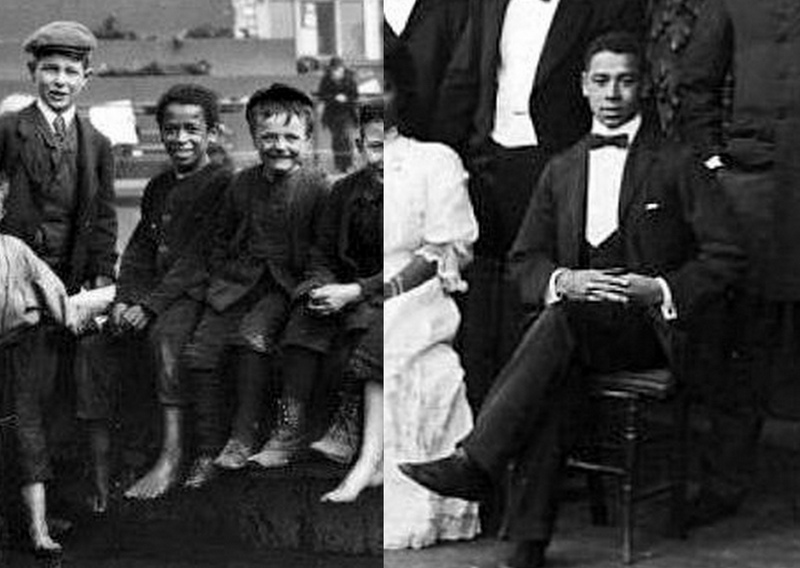 Focusing primarily on a community of West-African-born black Germans and their families, Rosenhaft and Aitken trace the groups evolution in the nineteenth century through its persecutions by the Nazi state and postwar existence. To access the interview, click here.